For a number of years, Anthony Tollin’s Sanctum Books has been putting vintage Shadow pulp stories and related material back into print, and Tony was kind enough to give me this one a few years ago. I’ve just read it. Many of the Shadow stories were written by Walter B. Gibson, but prolific as he was, he couldn’t do them all. 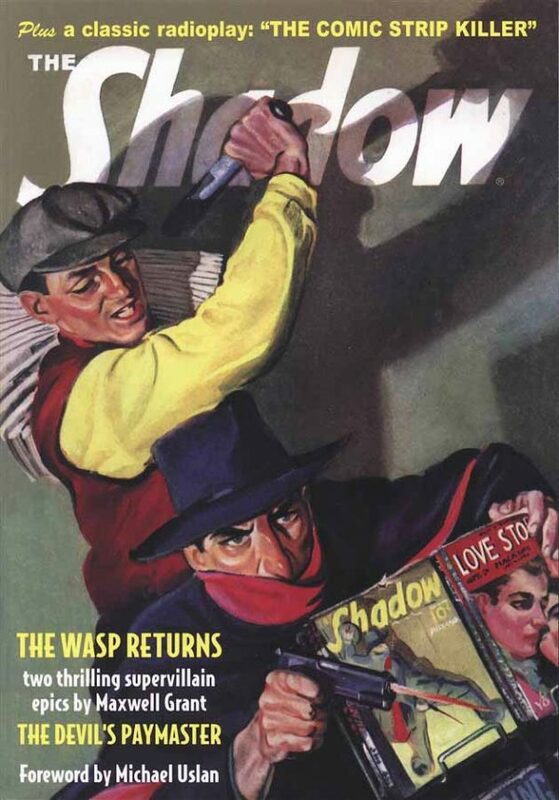 The first of these, “The Wasp Returns” is written by Gibson, the second, “The Devil’s Paymaster” is written by Theodore Tinsley, who also worked on a similar pulp, “The Spider.” I found the Tinsley story, first in the issue, to be the more interesting of the two, as it takes The Shadow to some unusual places and activities, including underwater. Both stories are heavily plot driven, and each plot is quite complicated, with lots of twists and turns, unusual inventions or death devices, many characters whose allegiance is not always clear, or is subject to change, and lots of suspense, danger and thrills. In both these stories, one gets a fuller picture of the man whose major role is that of The Shadow, but who has other lives and roles as well. The Wasp, the adversary in his story, is an attempt to give The Shadow a worthy adversary who is just as clever and strange in his own way. It didn’t always work for me, The Wasp seems almost too strange to believe in at times, but his plans are quite clever. Some of The Shadow’s many helpers and agents appear, but none gets a lot of story time, most of the focus is on the villainous gangs and bosses and The Shadow himself. There are the obligatory elements such as a visit to The Shadow’s hidden Sanctum, his ability to appear and disappear mysteriously, his chilling laugh, and his blazing guns, all drawn from the original radio show. Also here is a script from one of those shows with a plot involving comic strips. With a foreword by Michael Uslan and additional material by Will Murray and Anthony Tollin, this is a nice package for pulp fans, and a worthy series. This entry was posted in Magazines, Reviews on September 8, 2017 by Todd. Here are two sketchbooks given to me by the artists at this year’s San Diego Comic-Con. Gary’s is much larger, 9 by 12 inches, and the 64 interior pages are black and white on bone colored paper. These are sketches and layouts done for the George R.R. 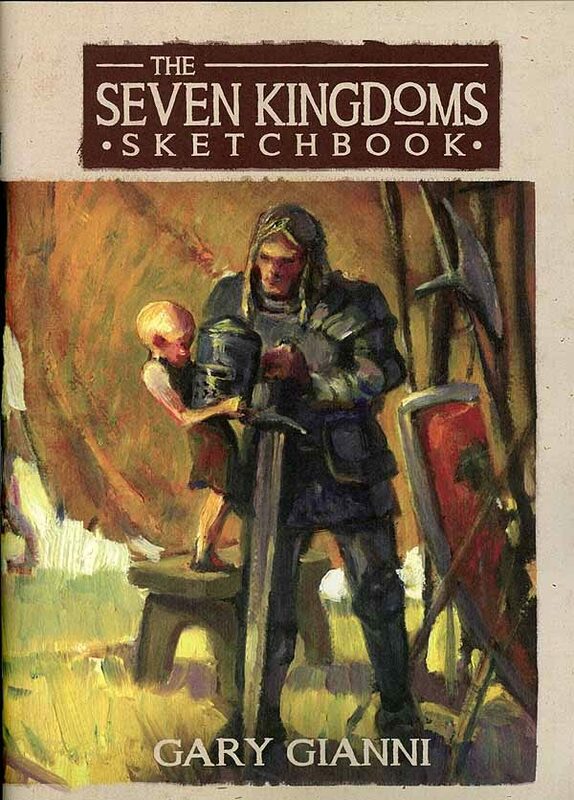 Martin novel, “A Knight of the Seven Kingdoms,” which I reviewed HERE. While that book had many great illustrations, both line art and paintings, there’s much to be learned from Gary’s sketches for them, and his notes and comments. If you are a Martin fan and have the book, this is something you’d want, though I’m not sure how much it would cost, or where you can get it, unless you see Gary at a convention. You might try contacting him on his WEBSITE. You can also find him on Facebook. 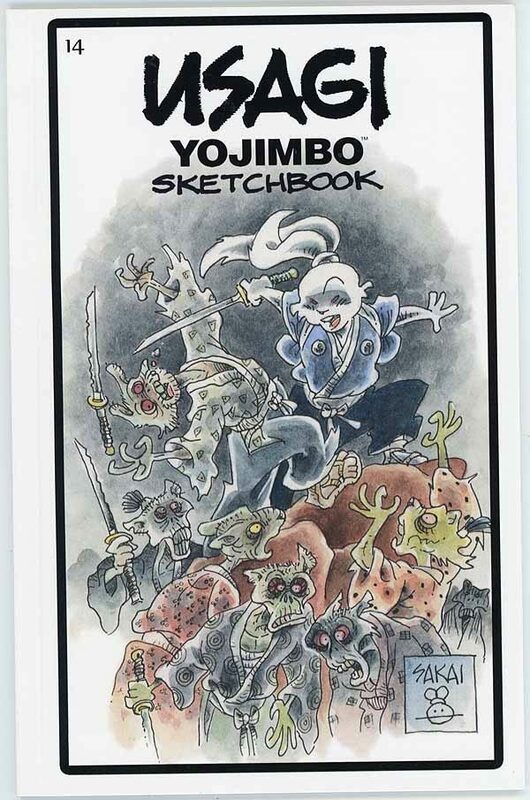 Stan Sakai gave me a copy of his “Usagi Yojimbo Sketchbook” #14, which is 5.5 by 8.5 inches and 24 pages, some in color. Stan’s art is great, and in addition to many sketches, there’s a brief comic strip. 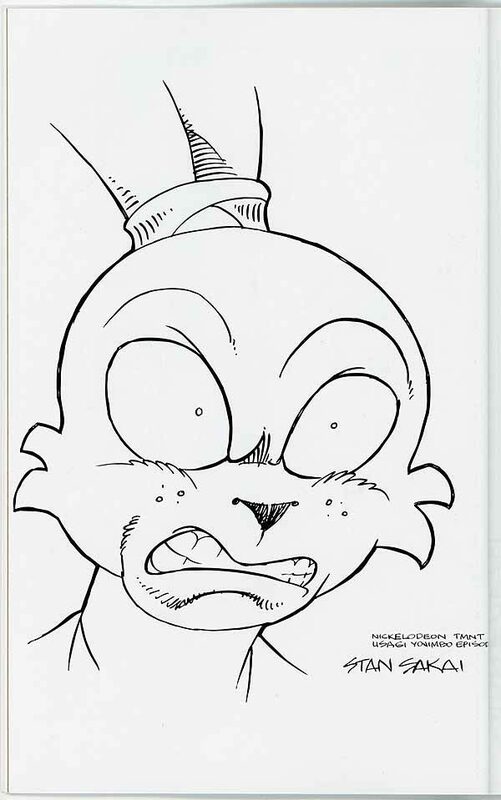 Some of the sketches, like this one, are marked as for the animated Usagi Yojimbo cartoon that appeared on the Nickelodeon show, “Teenage Mutant Ninja Turtles” recently, and perhaps there will be more of that. Hope so. Usagi is cool, and it’s always nice to see Stan and his creation expanding their horizons. 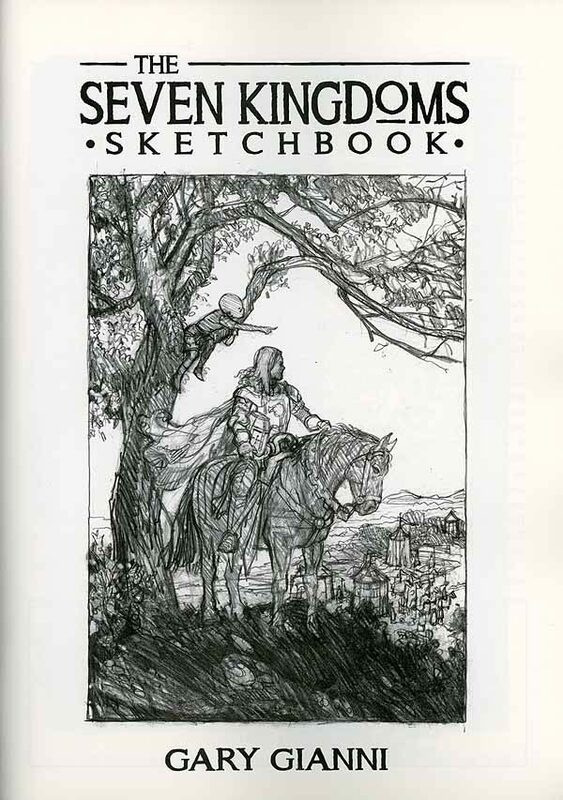 You can find this sketchbook and lots of other fine stuff for sale on Stan’s WEBSITE. This entry was posted in Magazines, Reviews on August 4, 2017 by Todd. My former work-mate Anthony Tollin has been publishing these Shadow pulp magazine stories in handsome trade paperbacks for some years under his Sanctum Productions imprint, and he gave me this one a few years ago. I’ve just gotten around to it. I’ve read quite a few pulp magazine stories and novels, but nearly all of them in the fantasy and science fiction genres. 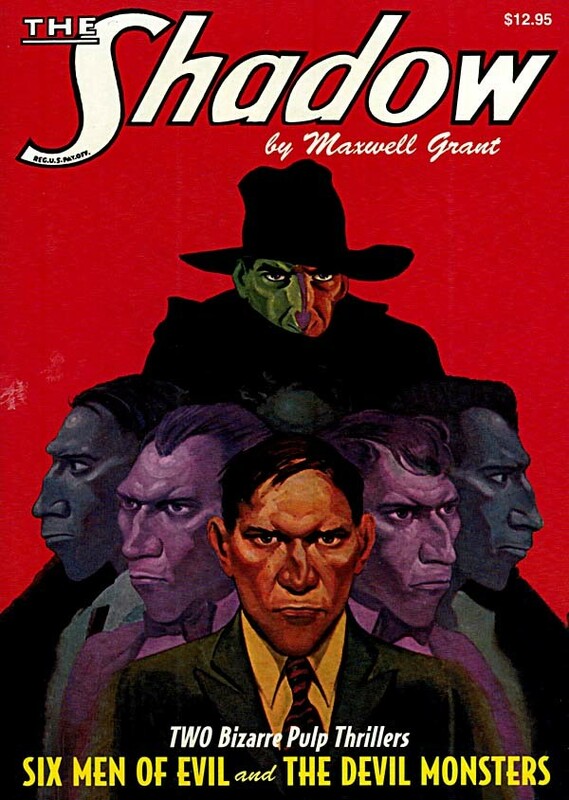 I’d read some Shadow comics, even lettered a few, but never read any of the original pulp stories by Maxwell Grant from the 1930s and 40s until now. While I did enjoy them, I have to say they certainly are “pulpy,” with mounds of purple prose, melodrama, and unlikely plots. In the first story from 1933, a group of six men with the same exact face are able to commit crimes that the law doesn’t even notice, but The Shadow does, and he moves against them. The writing in this story dwells on The Shadow’s every move and idiosyncrasy with almost fetishistic fervor, but once he gets into the action, it does have action aplenty. The build-up is rather slow, though. The second story from 1942 features monsters of a supernatural type, or are they something else nearly as unlikely? Lots of spooky thrills in this one, and the addition of Margo Lane and other Shadow assistants to the plot, as well as The Shadow’s alter ego Lamont Cranston taking a larger role, makes The Shadow more real and less of a cypher. That’s good, because the intricate plot and over-the-top villains and monsters become harder to believe as the story moves on. This issue also has an excellent feature on The Shadow in comics by Tollin, which I learned a lot from. Very well done, and nicely filled out with art and photos of creators. This was interesting from a historical perspective, and generally fun, but I don’t see myself searching out more. I do have one other similar book from Tony that I will get to in time. If The Shadow appeals to you in any form, it’s worth giving these original stories a try. This entry was posted in Magazines, Reviews on September 13, 2015 by Todd. Image © DC Comics and TwoMorrows. 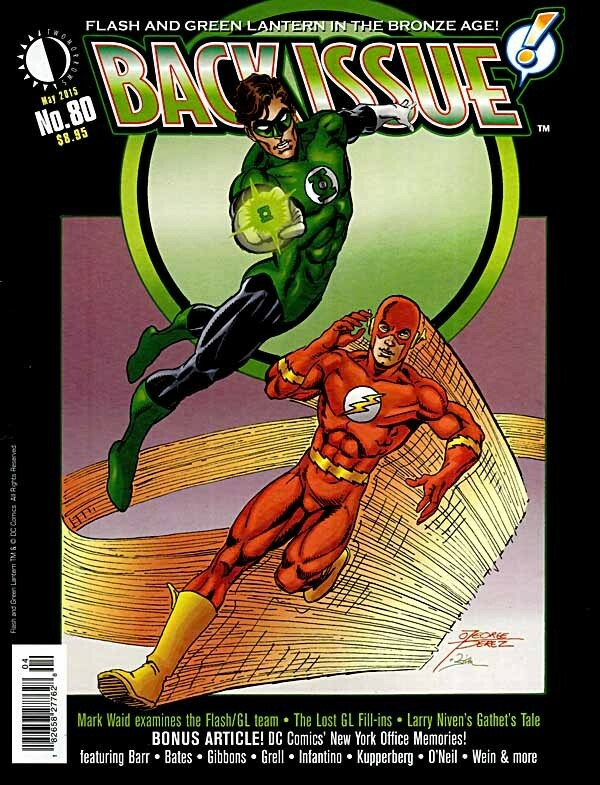 The main attraction for me in this magazine is a lengthy article containing memories and remembrances of many of the New York offices of DC Comics, put together by Robert Greenberger. While there weren’t many surprises for me, as I’ve researched this topic myself, some of the anecdotes were new, and very entertaining. Offices covered range from 575 Lexington (the 1960s) through the most recent offices at 1700 Broadway, and comments/memories/stories come from a wide range of folks beginning with Roy Thomas and including Marv Wolfman, Bob Rozakis, Denny O’Neil, Michael Uslan, Al Milgrom, Jack C. Harris, Barbara Kesel, Mark Waid and many others. The article covers 20 pages, I thought I’d read it in an evening. Silly me! The type is tiny, and closely spaced, and even with photos, it took me several hours and several evenings. If you’re at all interested in DC history, you should have this issue. It makes a great companion to some of my own articles about the DC offices that can be found on my blog HERE. Great work by everyone involved, especially Bob Greenberger! Highly recommended. This entry was posted in Magazines, Reviews on June 25, 2015 by Todd. 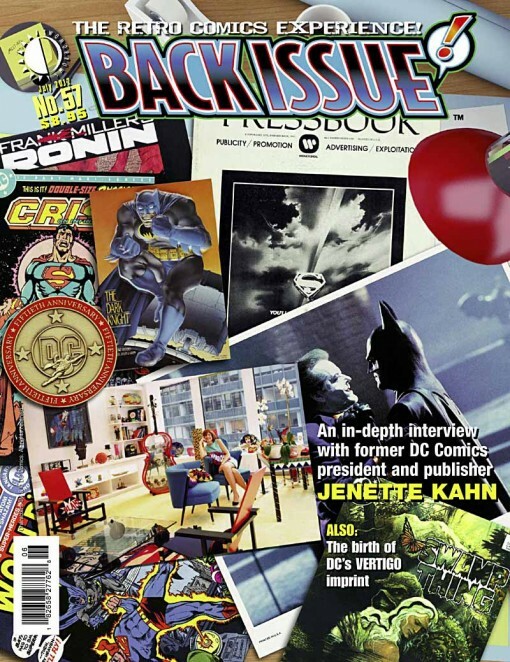 If “behind the scenes at DC Comics” interests you, as it does me, I suggest you read the interview of Jenette Kahn in this issue, conducted by long-time DC staffer Bob Greenberger. It’s lengthy, detailed and full of information. Yes, Jenette doesn’t remember some things (and is probably being diplomatic in other cases), but what she does remember and talk about is fascinating. It’s the kind of insider view one rarely gets of any large company, and hats off to everyone involved in making this happen. This entry was posted in Magazines, Reviews on June 16, 2012 by Todd.